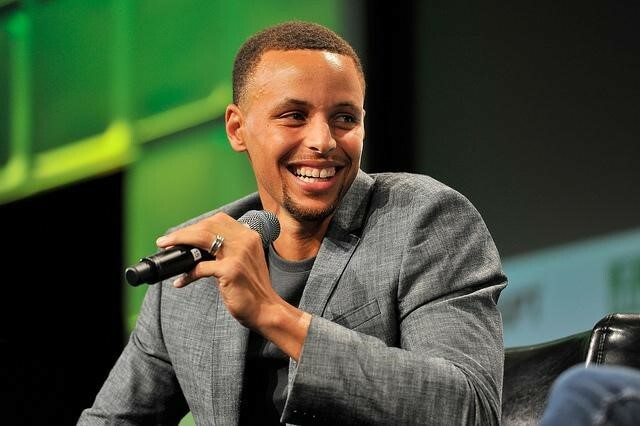 An article from the Wall Street Journal came out and explained that Steph Curry didn't specialize in basketball and he actually played multiple sports growing up. "In an age of hyper-specialization, Curry has reached the pinnacle of his sport by doing the exact opposite. He played basketball, but he also played some baseball, football, soccer and basically everything else in a sports buffet. What worked for Curry, experts say, could work for everyone." There are also many other great points from the article. Major organizations are against specialization. "In the last five years, the American Medical Society for Sports Medicine, the American Academy of Pediatrics and the International Olympic Committee have published research supporting the position that children should sample different sports, rather than picking one too early." "Children who participate in a variety of sports and specialise only after reaching the age of puberty, for example, tend to be more consistent performers, have fewer injuries and adhere to sports play longer than those who specialise early." "This idea that you have to restrict yourself is a total misrepresentation," Ericsson said. "The more practice you squeeze in does not necessarily lead to improvements but may, in fact, lead to the acquisition of bad habits." Unfortunately, in today's world, many of the pressures to specialize is driven by the youth sports business. Club sports are rejecting players who don't commit to 6-month, 9-month, and even 12-month programs. Additionally, misinformation of specialization is being spouted to the parents. And the ultimate fear of "Your child might get behind" is usually the number one tactic whether it's well-intentioned or not. No wonder parents feel like their head is spinning when trying to educate themselves and make these decisions. It's hard enough to find time to just relax for 10 minutes every night. With that being said, you still need to figure out what your objective is with your child's experience with sports. What is the purpose? My objective with my children is to learn character skills through sports that will help them be successful, happy adults. These skills include gratitude, respect, hard work, empathy, healthy communication with others, how to lead, how to follow, how to take instruction, how to critically think, the ability to keep a proactive attitude, and anything else that will make them a better person. Additionally, I want them to learn to love sports. Playing sports is a great way to maintain fitness. Research shows that physical fitness aligns with being smarter and happier. Lastly and least important, I want a coach who is good at teaching the sport. Now, don't get me wrong... there are situations in which to specialize. If you live in an area where violence and gangs exist and the sport is the only medium to keep them out of trouble, SPECIALIZE! But if there are other opportunities for other sports, play multiple sports. What are the advantages to playing multiple sports versus specializing? Healthier athletes and fewer injuries. Fewer injuries lead to more improvement in the sport. "Athletes who specialized in one sport were twice as likely to report previously sustaining a lower-extremity injury while participating in sports (46 percent) than athletes who did not specialize (24 percent)." "In 2001 an estimated 18 million children were treated for a sports/physical activity-related injury. Approximately, 50% of those injuries (9 million) were attributed to overuse mechanisms resulting in muscle damage." Also, each sport works the body slightly different. This will lead to fewer overuse injuries. And think about it, if you're getting injured, you focus on getting back to where you were before you were injured. You're not spending time on improving. Also, this doesn't mean playing 2 or 3 sports year round. This means playing multiple sports seasonally. Basketball in the winter. Baseball in the spring. Baseball in the summer. Gymnastics in the fall. That's just an example. Kids develop at a different pace... physically and athletically. An average 13 year old boy can have the biological maturation of a 16 year old boy or a 10 year old boy. This is why physically mature athletes dominate youth sports. The kid who is 6'2, scrawny, and weighs 100 pounds at age 13 might be a 6'7 beast by the time he's 18 years old. He might be a 6'11 professional when he's 25. The small, undeveloped kid who quits too early could miss out on a lifetime of success. Steph Curry & Damian Lillard were not highly touted prospects and went to mid-major programs. Now they're NBA superstars. According to a study by AAPHER, over 70% of kids quit sports by age 13. To me, this is insanity! Steve Nash didn't start playing basketball until age 12 or 13. They should continue to play sports to have healthy teenage and adult lives. Playing multiple sports could reveal a hidden talent. Specialization does not. If you know what a child will excel at by age 6, age 10, or age 14... give me your name and number because you have a superhuman talent and we can make some serious money. If you specialize too early, you are really taking a big risk. For a multitude of reasons, if you choose 1 or 2 sports to focus on, there is a good chance you might be picking a sport that you will not excel at or be passionate about. It's good to have options. As mentioned before, we all want our kids to participate in fitness activities such as sports to maintain optimal health as adults. Also by playing other sports you develop more experience with different scenarios without the risk of emotional and physical injury. With soccer, a defender may be approaching you at an angle and you counter with a move. In basketball, you experience this same situation. Your body knows what to do and you make the same movement as you did before, except now you're dribbling with your hands rather than your feet. You develop better athletes with multiple sports. In the book Children & Sports Training, Jozef Drabik states that coordination is best developed between the ages of 7 to 14. If this is true, wouldn't you want children to be involved in a wide variety of sports that challenge them differently to produce better athletes? Lebron James played football. Kobe Bryant played soccer. Steve Nash played soccer. Michael Jordan played football and baseball. Who knows how many sports they played as children that helped them turn into great athletes? It surely wasn't one and was probably more than two. According to a survey in 2013 by the American Medical Society, 88% of college athletes participated in more than one sport as a child. Being exposed to baseball develops better hand-eye coordination. Soccer develops better footwork. Volleyball develops better leaping and hand-eye coordination. Martial arts develops strength, mobility, and discipline. Swimming develops full body coordination and strength. I could go on and on. Jordan Spieth played multiple sports. You see a pattern here? Your child won't hate you by playing multiple sports. I think the most common situation for kids not playing multiple sports is their own choice. They feel comfortable with the sport and being with certain friends. I would strongly advise for you to sign them up for multiple sports even if they resist at first. However, a bigger issue is when parents influence their child to specialize. I think we can all agree that passion and hard work leads to success in many different fields including sports. While this certainly isn't the majority of parents, there are still well-intentioned parents that nudge their children to practice and specialize. The parents think specializing and working hard is what's going to help them succeed. And as mentioned before, they don't want their child to be left behind. An important thing that is forgotten in this process is the passion component. Forcing a person to do something or having some young child do something all of the time does not typically create a passion for it. Think about anything you were forced to do... did you love it? No! I guarantee that you didn't. And if you did, you are a rare exception and it probably won't work for your kid. Let your kid find your passion, then give them the opportunities. If anything, you should use sports as a discipline. Remove sports when they do something wrong. It'll make them love it more. Also, when the kids reach their teenage years, they become rebellious and they're going to do the opposite of what you want. And I've seen this awful scenario too many times... a resentment towards the parent who pressed and pushed too hard is developed. This can lead to a strained and even ruined relationship into their adult lives. Is any damn college scholarship or millions of dollars worth the chance of your child hating you? No! Participate in a bunch of different sports prior to age 14. Do everything. Around age 15, start to steer towards two to four sports that your child enjoys. Find youth coaches that create a passion for sports. They make it fun. Studies show that many elite athletes during their youth didn't have great sports coaches from a technical standpoint. However, they had coaches that developed a passion for the child. Play sports seasonally. Don't try to do three sports at the same time. This is costly and will ruin the family dynamic. It also can lead to injuries and mental burnout. Let your kid find their passion. Then give them the opportunities. Additionally, don't take sports too seriously. It's a game. Who cares if your child can throw a ball through a basket, kick a ball through a net, spike a ball, or run better than somebody else? Is that going to make them happy, successful adults? Probably not. Many professional athletes struggle finding happiness. However, having a good relationship with you and developing character skills will give them a great life, no matter what endeavor they choose and no matter how far they advance in their sports career. Thank you for this great article!!! A perspective that most parents do not see or get. Thanks, this article needs to be read by every parent who has sports aspirations for their children. Great Read! Wizards Center Marcin Gortat was a goalkeeper in soccer till 17 or 18, then he switched to basketball. He isn't injury prone like other centers, doesn't have that mileage, has great footwork and hand's (playing P'n'R with John Wall) thanks to soccer. This article gives me a different outlook on multiple sport participation - I'm more open-minded about it. However, the reason I opposed it to begin with was because a kid who agrees to participate in multiple sports which often overlaps don't develop as rapidly as parents, child (athlete) and let's be honest -- the coach wants him/her to develop. It takes a considerable amount of time to develop an athlete that is not a multiple sport player vs the one that isn't (provided the dedication of time) Then everyone is playing tug-o-war for time and access to the athlete to make them better so they can perform better. Most times, it ends up costing the athlete a "spot" on the team because they cannot dedicate the "appropriate" time on one team over the other. Those are reasons I opposed it from one aspect. On the other hand, I always promoted sports like soccer for athletes who also play basketball because of the development of footwork and stamina. Overall, great article. Thanks for listening. As a coach, you need to look at the overall development. In time the athlete who plays multiple sports will catch and exceed the one dimensional player because they are physically more advanced. The multi-sport player will have better muscle development and coordination. As with any training there needs to be a rest period for development. A player who plays multiple sports is resting from one sport when playing another, thus developing their muscles. I encourage multiple sports with my kids, I think you should too. Great article, as a middle school coach I am finding it more and more difficult to find multi-sport athletes. When I was in high school all of the best athletes participated in at least two and more often three sports and did not specialize until college. Now kids can play just about any sport year round. Wish more parents would take a step back and not push kids so hard to specialize at an early age because of the fear factor of them falling behind in their skill development compared to others their age. When i was in high school the coach told us that we were playing a sport. Can't do that now, lol. But you should encourage, strongly suggest, highly influence kids and their parents that this should be their course of action. Just cause its hard doesn't mean you don't try.